Set your sights on surfy fun down fresh white canvases or enjoy playful slush laps on a pair of the Pep Fujas special K2 Marksman Skis. Their asymmetrical twin rocker design challenges the conformity of traditionally shaped skis and combines a mix of control on your downhill ski mated with a playful spirit in softer conditions. 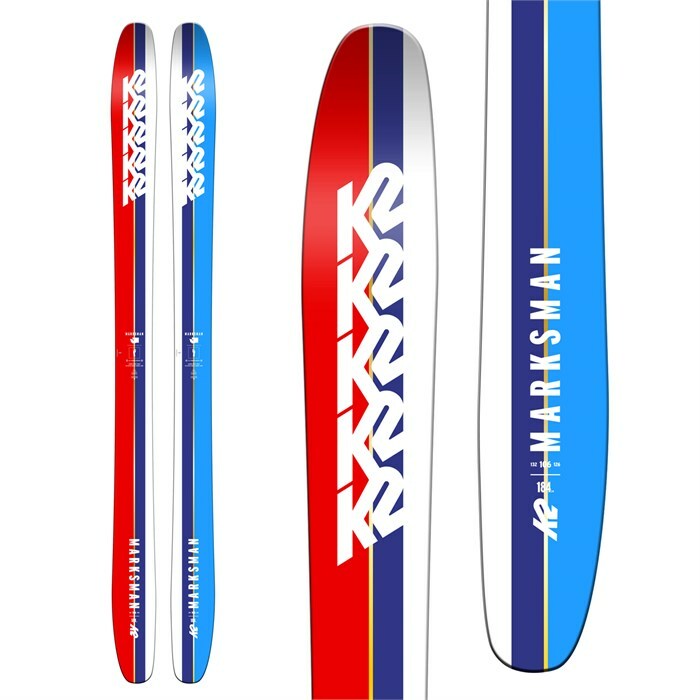 Take aim at futuristic lines with the norm-defying K2 Marksman Skis. All-Terrain Twin Rocker  All-Terrain Twin Rocker is a gradual, extended rise at the tip and tail for added versatility and control in all conditions with twin tip skis. 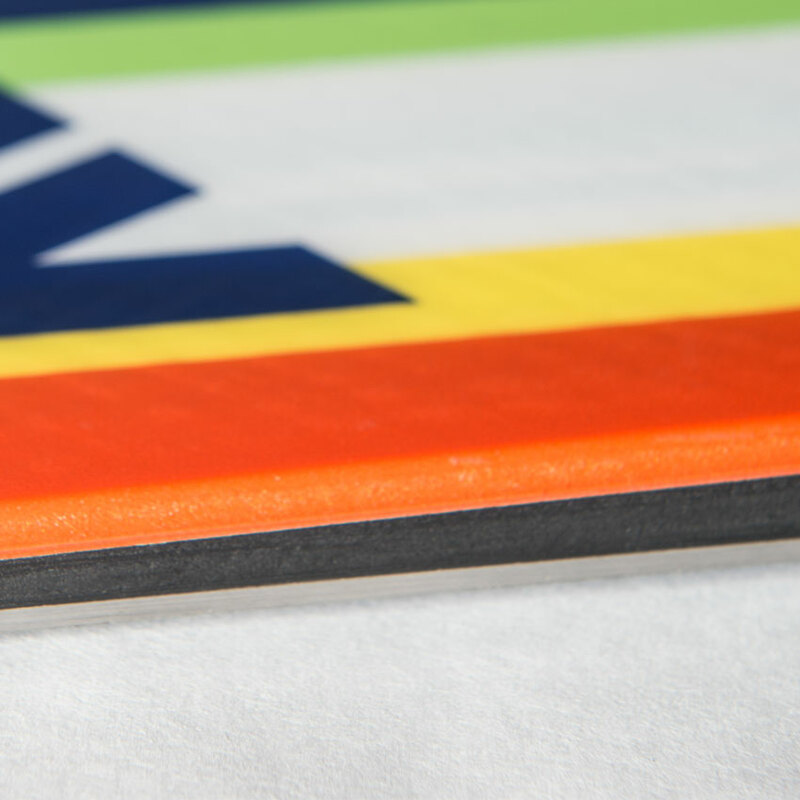 Asymm Tip/Tail  Exaggerated taper on the outside edge only, giving the ski a surfy, playful feel, while maintaining stability and flotation with a longer effective inside edge. Double Barrel  Denser core over the edge for durability combined with a less dense center core for reduced swing weight. Aspen  Lightweight and resilient, great all-around material.